John Grisham is the king of legal thrillers. I always know whenever I pick up one of his books, I am going to be introduced to another part of the legal system that I had no idea existed. I recently finished listening to The Rooster Bar, Grisham’s latest. Grisham dives into the gritty world of law schools, student loans, and financial scams. Speaking as someone who still has a pretty good chunk of student loan debt, I found the premise of this book to be interesting. 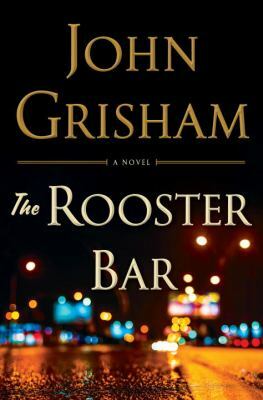 The Rooster Bar by John Grisham is a legal suspense thriller that is packed full of crime. Mark, Todd, and Zola are all third-year law students at Foggy Bottom Law School. All three decided to go to law school to try to change the world, but now that they are in their third year, Mark, Todd, and Zola have realized that they have been scammed. Only one of them has a job lined up and it’s not in the best law firm. His job is contingent on passing the bar exam, something that only 50% of Foggy Bottom Law School students do. The job market is a mess anyway, at least for FBLS graduates. With student loan collectors hounding them, Mark, Todd, and Zola realize that they have hundreds of thousands in debt, no solid job prospects, and a soon-to-be worthless degree from a third-tier, for-profit law school. Things are bleak. When another one of their friends hits his breaking point, Mark, Todd, and Zola realize that their school is part of chain owned by a hedge-fund operator out of New York who ALSO owns a bank that specializes in student loans. That school is shady! This whole situation reeks of a scam and the friends decide they have to do something about it. Mark, Zola, and Todd name their situation The Great Law School Scam and try to figure out a way to expose it. Mark and Todd slowly come up with a plan to get rid of their massive debt, expose everything, and maybe make some money to survive. They decide that continuing to go to Foggy Bottom Law School is a complete waste of time. Why not just stop going?! After all, what’s the worst that could happen?? The Rooster Bar is an examination of Mark, Todd, and Zola’s life decisions and what happens when they decide to actually take their lives into their own hands. 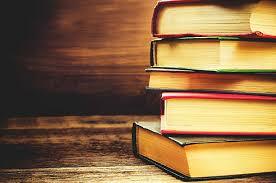 It’s a good read. You should check it out. What if you woke up one day and no one recognized who you were? What would you do? Would you think it’s a practical joke? Would you think something was seriously wrong? What if you had lived your whole life hiding from memories of your past; terrible, horrible memories that you’d blocked from your mind? What if you had secrets you wanted no one else to know, be they good or bad? What if all of a sudden someone else knew all your secrets, all your previous actions, and thought those memories were actually theirs? What would you do? All of the above scenarios happen in Mike Carey’s graphic novel, Faker. In Faker, readers follow the lives of five college students: Yvonne, Marky, Sack, Jessie, and Nick. Jessie shows up a few days before the semester begins to meet with teachers and get everything sorted before the semester begins. After all of her friends show up and the house has been reunited, they decide to head out and party. Yvonne, Marky, Sack, and Jessie end up drinking in one of the science labs in the college with Marky mixing up drinks for them. Soon they all end up violently ill, throwing up everywhere, and passing out until morning when Nick finds them all incoherent on the floor. Thinking they are just hung over, all four go on with their lives. Things quickly start to escalate out of control when people start not to recognize Nick. People that knew Nick from last year, people he worked with, people he even hooked up with have no clue who he is. Nick also seems to have access to memories that aren’t actually his. Everyone in the group starts throwing around ideas about what could actually be wrong with Nick, while some decide to do their own investigations. This graphic novel is a psychological horror story involving memory drugs, pharmaceutical labs, government conspiracies, and the strength of friendship as all hell breaks loose when no one knows what the truth really is. 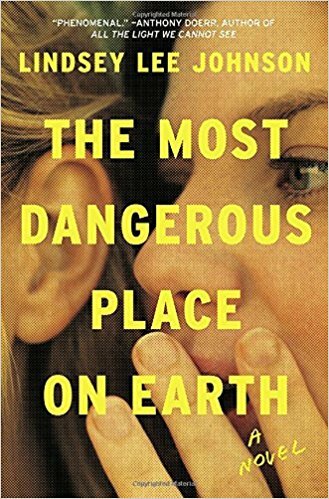 The beginning of Faker had a bit of a slow start for me, but toward the middle and definitely at the end, I was thoroughly hooked in the story and the conspiracy that was threaded through everything. 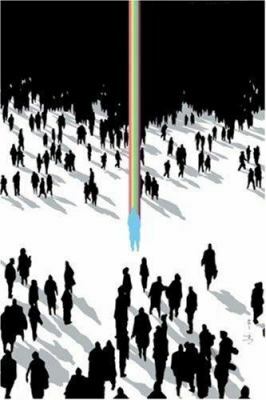 Schools of Fish: Welcome Back to the Reason You Became an Educator by Philip Strand, John Christensen and Andy Halper. This fun, attractively arranged book can help any teacher, new or experienced, approach the school year with enthusiasm. Absolute Beginner’s Guide to Home Schooling by Brad Miser. Not everyone opts for the traditional school setting. If you’re interested in teaching the kids yourself at home, this book can get you started on the right track. And don’t forget to check the Davenport Community Schools’ website for information on current events, academic calendars and the latest news about your school.